seven × = 42 Required Please enter the correct value. 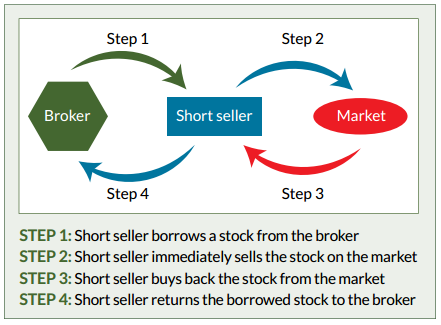 The mantra of "buy low, sell high" works for going long – but investors can make money from both sides of the trade if they understand these tips for short selling. Billionaire investor George Soros, for example, famously made a single-day $1 billion profit in 1992 by shorting the British pound because he saw weaknesses in the currency's exchange rate fundamentals. Even in today's five-year bull market you can join the likes of Soros and be rewarded handsomely through short selling. You can do this with currencies, exchange-traded funds, equities, and just about any asset. Money Morning Chief Investment Strategist Keith Fitz-Gerald put together these tips for short selling success. It's important to understand these crucial factors before trying to profit from a short sale. Short Selling Tip No. 1: Timing is key. Timing really is critical when short selling, says Fitz-Gerald. He identifies short-sale candidates primarily from fundamentals, but waits to actually take action until signaled to do so by overall market action or specific technical indicators. A technical trigger is important because it may take some time for the market to recognize fundamental weakness in a company – and even longer to actually give up on the stock. Short Selling Tip No. 2: Action on the short side is much quicker than action on the long side. As a short seller, you can generally expect far quicker results than you'd get on your long positions. Numerous market studies have shown that, on average, stock prices decline three times faster than they rise. Even so, always be aware that a crash or panic sell-off isn't required for a successful short trade. In many cases, a simple lack of news will be enough to quell buying interest and cause a price decline sufficient enough to produce a nice short-selling profit.